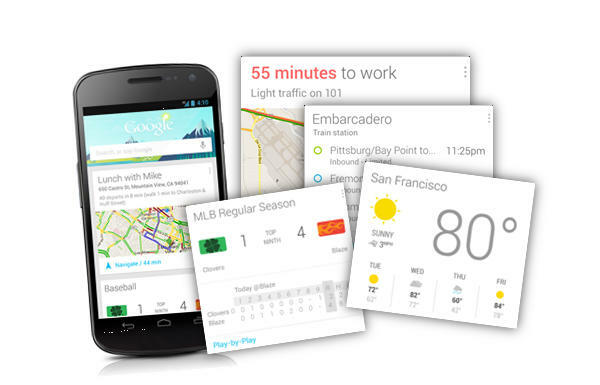 Google Search for Jelly Bean was updated on Wednesday, and it brings quite a few features along with it. Among the changes, users can put a Google Now widget straight on their home and lock screens, giving them much quicker access to their most important cards. We figured something like this was incoming, but didn’t expect it to arrive so quickly. In addition to merely adding a widget, the update also includes movie ratings from Rotten Tomatoes and integration with Fandango similar to Passbook on iOS. When you purchase a ticket through Fandango, Google Now will provide a QR code for your ticket and will even tell users when to leave for their movie one of the best things about Google Now. There are a ton of other small updates within the app, boosting Google Now’s humongous bragging rights as one of the premier mobile features in Android. With Key Lime Pie likely coming in May, we can’t wait to see what else Google introduces.